Prince Edward Island has named writer Julie Pellissier-Lush the province's first Mi'kmaw poet laureate. Pellissier-Lush is an actor and best-selling author of the book My Mi'kmaq Mother. Much of her work centres on Mi'kmaq legends. "A lot of my writing has been bringing stories from the past and bringing them into the present for people to learn and understand the rich culture of the Mi'kmaq people here in the Atlantic," Pellissier-Lush said. She plans to raise awareness of poetry and spoken word in her new role, she said. Pellissier-Lush is a graduate of the University of Winnipeg and works with young families at the Mi'kmaq Family Resource Centre. 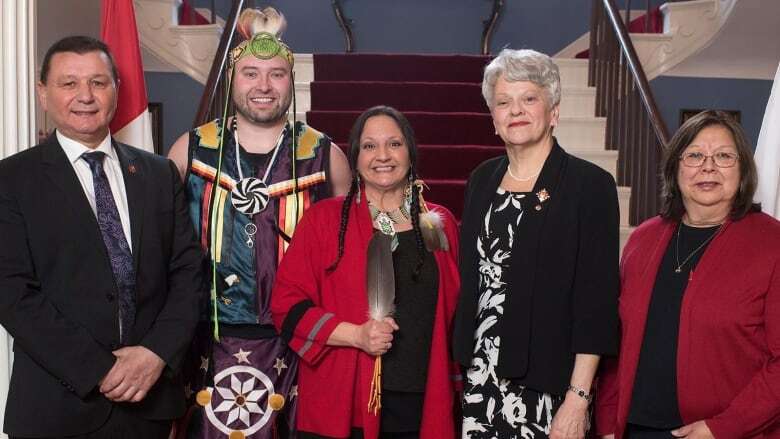 She has also been vice-president of the Aboriginal Women's Association of P.E.I. Pellissier-Lush said the new role will allow her to reach more Island youth. "It just opens so many more doors for sharing the stories, for sharing the writing, sharing the love of poetry." The role will help her to engage with youth from First Nations communities and show them "there is no limit to their dreams — they can be whoever they want to be," she said. The poet laureate's role is to create awareness of the important role that poetry plays in the literary life of the province and to serve as a cultural ambassador. Pellissier-Lush follows Deidre Kessler, who just completed a three-year term as poet laureate. Previous PEI Poets Laureate include John Smith (2003-2005), Frank Ledwell (2005-2008), David Helwig (2008-2010), Hugh MacDonald (2010-2013) an Dianne Hicks Morrow (2013-2016). With files from CBC Radio: Mainstreet P.E.I.